Wayne, Pa. (May 22, 2017) — Tekni-Plex, Inc. has acquired the assets of BrunaSeals, Doral, Florida, a leading producer of induction seals and foam closure liners for beverage, cosmetics, pharma and household and industrial chemical products. Going forward, BrunaSeals will become part of Tri-Seal, Tekni-Plex’s global closure liners business unit. BrunaSeals offers expertise in embossing, printing, foil stamping, die cutting, removal and closure lining capabilities. The company markets its core induction seal and foam closure liners under the ProTecSeals® brand. 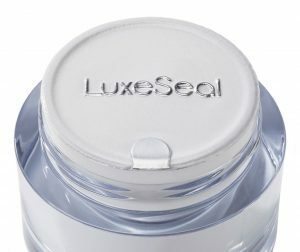 BrunaSeals’ most recent product innovations include the LuxeSeal® and SniffSeal® specialty platforms that provide brand owners with unique sensory and shelf-presence attributes. Founded in 1986 to service Latin American liner and gasket needs, the company has expanded its product portfolio and geographic reach over the past three decades. Juan Bruna, president and founder of BrunaSeals will support the Tri-Seal business unit in future business development efforts. “We couldn’t be happier to become part of a leading global manufacturer who is committed to growing its closure liner and seal business. Our collective customers will benefit significantly from this acquisition,” Bruna said. BrunaSeals is now the fourth closure liner business Tekni-Plex has acquired in the past three years. The three previous acquisitions were Sancap, Alliance, Ohio; Ghiya Extrusions, Ahmedabad, India, and Tech-Seal, Triadelphia, West Virginia. Tri-Seal is a leading global manufacturer of closure liners and seals for glass, metal and plastic containers. It serves a broad range of product applications including pharmaceutical, nutraceuticals, personal care, food/beverage and household/industrial. With manufacturing facilities across the globe, the company’s innovative products ensure that the contents of its customer’s packages are secure from contamination, leakage or loss of product efficacy. For more information visit http://www.tekni-plex.com/tri-seal.